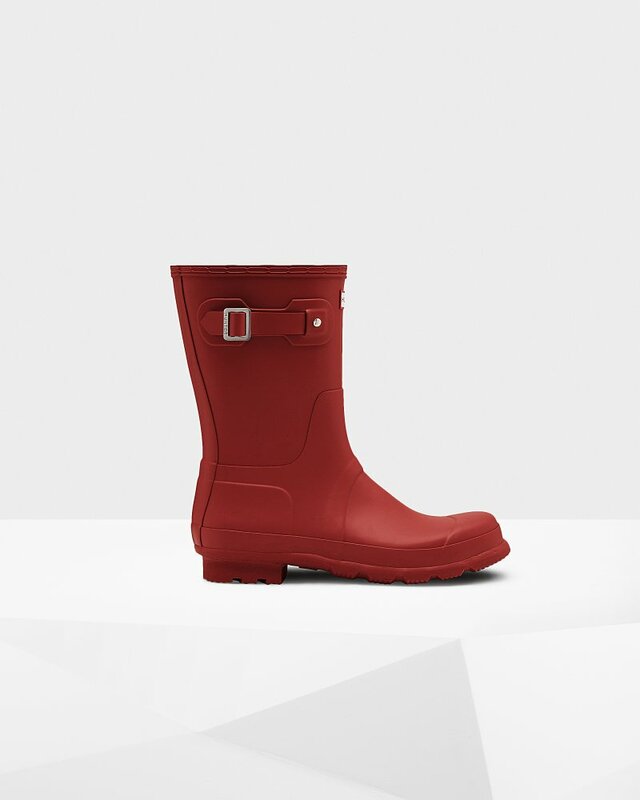 Men's Original Short Rain Boots is rated 4.3 out of 5 by 3. Maximum protection, minimum fuss. The Men's Original Short Rain Boot takes the iconic design of the Tall Boot and scales it down for a versatile and comfortable style. From jeans to chino's, styling is easy thanks to the mid-calf height. Formed of natural rubber, each boot is handcrafted and assembled over three days before being vulcanized for superior protection. Featuring the Hunter Original tread pattern, and a comfortable polyester lining, this bold red waterproof boot is an everyday essential. Rated 5 out of 5 by Dave from Great rain boots I bought these in the hopes of them being a better fit than my current rain boots. They did not disappoint. The fit is great and they look really good on.